As a Class A all-stater in both his junior and senior seasons, Scott led the Golden Eagles to a third-place finish in the 1976 state tournament and then to their first state championship since 1961 with a 21-1 record in 1977. 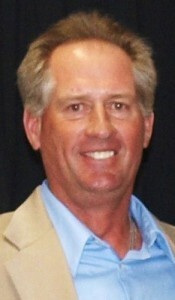 Scott was the leading scorer in the Eastern South Dakota Conference in 1977. He led the Golden Eagles to a 13-1 record within the ESD. Aberdeen Central and Yankton shared the conference title. After the Golden Eagles beat Rapid City Stevens 50-39 to win the state championship, Aberdeen Central coach Terry Small commented that it was good to have the best player in the state on your side. Scott, a 6-foot-4 guard, was named a McDonald’s All-American. Scott went on to star for Northern State University and was selected in the NBA draft by the Dallas Mavericks after his senior season. He was named to the all-Northern Sun Conference team while playing for longtime Wolves coach Bob Wachs and is a member of the NSU Hall of Fame. After scoring 2,424 career points during his Northern career, Scott became a permanent fixture at the South Dakota State Amateur Basketball Tournaments. He is a member of the South Dakota Amateur Basketball Hall of Fame. Scott works for Nalco Energy Services and resides with his wife Tammy in Farmington, N.M. The South Dakota High School Basketball Hall of Fame is proud to induct Scott as a member of its Class of 2013.